Stainless steel 316Ti seamless pipes are available in sizes ranging from 1/2 to 24 in. & lengths of 20 ft.
Metline is a full line service center and supplier of stainless steel 316Ti seamless pipes in India. Our stainless steel 316Ti seamless pipe processing capabilities include tapering, cutting, reaming, chamfering, grooving, machining and bending. Due to their high corrosion resistance and top quality, our stainless steel 316Ti seamless pipes are widely supplied to many industries, such as electricity, petroleum, natural gas, chemicals, shipbuilding, heating, papermaking, metallurgy and so on. Metline is a leading manufacturer and supplier of SS 316Ti seamless pipes. Our seamless 316Ti pipes are manufactured in a variety of size and schedule or thicknesses. 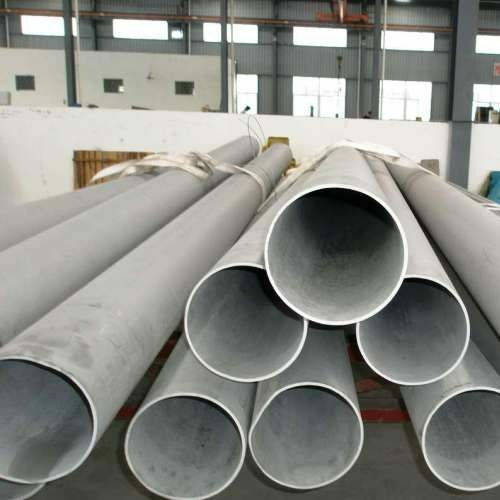 However, there is a restriction on the manufacturing of large diameter pipe. Generally, seamless 316Ti pipes are available in stock in sizes upto 16″. Seamless pipe, as the name suggests, is a pipe without a seam or a weld-joint. Seamless 316Ti stainless steel pipe is made from a solid round steel ‘billet’ which is heated and pushed or pulled over a form until the steel is shaped into a hollow pipe. 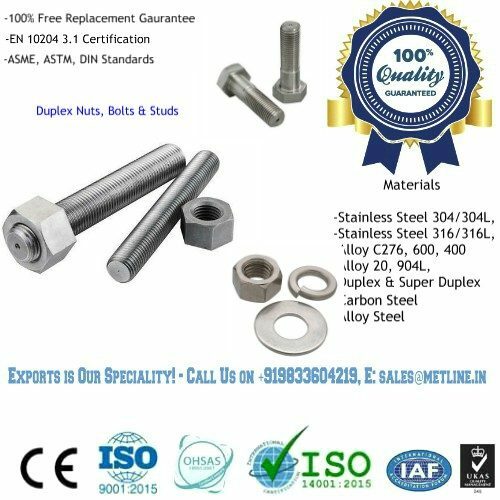 Stainless Steel 316 is the standard molybdenum-bearing grade, second in importance to SS 304 amongst the austenitic stainless steels. The molybdenum gives SS 316 better overall corrosion resistant properties than Stainless Steel 304, particularly higher resistance to pitting and crevice corrosion in chloride environments. Stainless Steel 316 has excellent forming and welding characteristics. It is readily brake or roll formed into a variety of parts for applications in the industrial, architectural, and transportation fields. SS 316 also has outstanding welding characteristics. Post-weld annealing is not required when welding thin sections. SS 316L, the low carbon version of SS 316 and is immune from sensitisation (grain boundary carbide precipitation).SS 316H, with its higher carbon content has application at elevated temperatures, same as SS 316Ti which is a Titanium stabilised grade. SS 316N is nitrogen enhanced with greater strength than SS 316.
thanks for the fast response. We are looking for some additional sizes in 316L tubes. Have sent email for the new sizes. Please quote us for the same.